Duel Club is the leading underground dance venue in Naples, but the building has an unusual background. Formerly the official church in the city’s NATO base, it was then used as a cinema before being turned into a music venue back in 2005. Originally focusing on live music, the space became increasingly used for club nights, with one of the people behind Duel explaining that “after the first two or three seasons, it became the most iconic club in the city”. It’s no idle claim. While the club has undergone some refurbishment over the past year, primarily to give the basement a new look, what’s remarkable about Duel Club is its bookings. 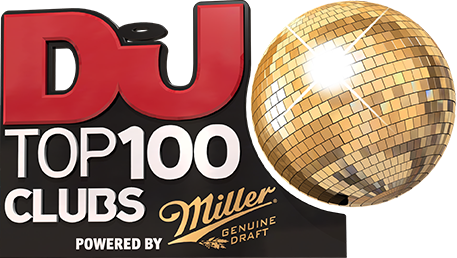 Since last appearing in the Top 100 Clubs poll, the Naples club has hosted some of the biggest names in house and techno, with Villalobos, Tony Humphries, Laurent Garnier, Moodymann, Maceo Plex, Kerri Chandler, Jeff Mills, Danny Tenaglia, Young Marco, Boo Williams, Chez Damier and Daniele Baldelli all guesting. The club’s main room features an iconic Mayer soundsystem and the smaller second space uses a new Martin Audio. Regular visitors who hear some of the world’s finest DJs perform on these state-of-the-art systems must feel, like the NATO worshippers, that they are having a religious experience.